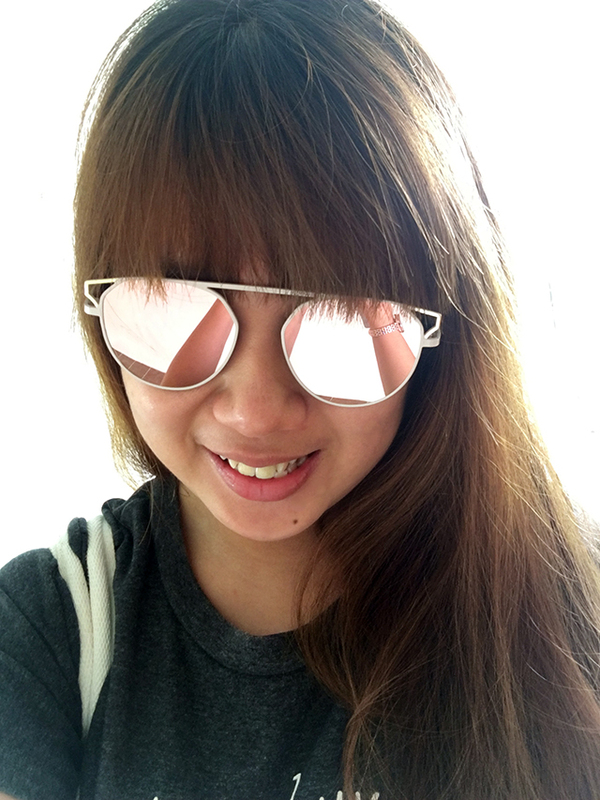 Blogging from a capsule hotel in Singapore!! But that’s for another post. This is not a sponsored post or ad. Just to clarify, I have no issues with the treatment or its results, but rather, the experience was very unsatisfactory as compared to my expectations. It usually costs $480 per procedure but the current promo price is $180, so Farah and I decided to give it a try since we had dental subsidy. 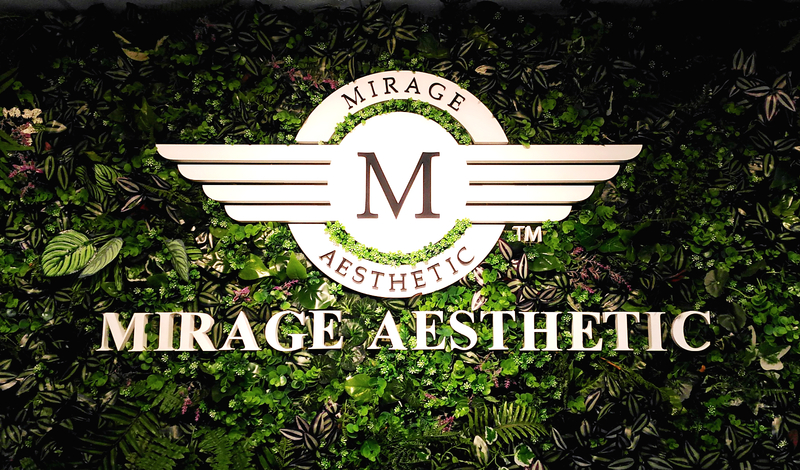 We left our names on Mirage Aesthetic’s website and I was rather impressed by their efficiency because they called us back very quickly to confirm our appointment. So on Monday (Feb 20), we went down for the procedure. We were given a nice glass of detox tea and hot towels to wipe our hands while we filled in our details (e.g. dental history e.g. my crown after I broke my tooth, how heavy is our intake of sugary drinks / alcohol / coffee etc) and signed the consent forms. After that, we had a consultation session with two aestheticians, L and G, where they went through details of the procedure and the condition of our teeth. They also told us about the more advanced teeth whitening treatment that is supposedly more effective, which normally costs $780 per session but we can get it for $500 since it’s our first visit. L, who ‘took charge’ of Farah was very nice, friendly and patient. She’s the one in most of the online reviews I’ve read, including TSL’s. Although they did try to sell us the more expensive treatment (all of four of us were in one room together), L kept saying “no obligations” and that they do not hard sell. G on the other hand, and who I was paired with, was a lot more persistent and not in a nice way either. She was very pushy and her way of selling was to repeatedly harp on the problems with my teeth to explain why only the advanced treatment would work for me. Fair enough. I know I don’t have perfect teeth… and I’m not giving a negative review because she hurt my feelings or anything. I just feel that her methods ruined an otherwise okay experience. You wouldn’t believe the number of times G kept pointing out what’s wrong with my teeth while L didn’t do anything of the sort to me or Farah. For instance, G kept saying the basic treatment would make the white spots on my teeth even more obvious and prominent. She repeated this at least two or three times during the consultation. Which is like criticising your own service to sell another more expensive one? So is the basic treatment that good after all? Hmmm. However, L would keep reassuring me that the white spots would fade and blend in with my teeth’s base colour the next day. She also answered a lot of my questions patiently. See the difference between both aestheticians? Anyway, Farah and I decided to stick to the basic teeth whitening (cue more unnecessary comments from G about how it won’t be effective enough for my teeth) and we were shown to individual rooms. You would have thought that G would have given up by now but nope, even as I lay down on the bed, she continued warning me about how I would not be happy with the basic treatment’s results because “你的真的很很很很很多 (your white spots reallyyyyyy a lot)”. And ya she really dragged out the “really” in Mandarin for emphasis. It got quite irritating because when I pay for a service, it’s to make myself feel good e.g. holidays, shopping, manicures etc, but at Mirage Aesthetic, you get the opposite. Anyway back to the treatment. After G applied gel and stuff onto my teeth, I had to lie down alone in the room for 20 minutes as the LED light was placed above my teeth. After that, she came back to reapply and I lay down for another 20 minutes. Both times, I didn’t feel very safe till the point where I wanted to sleep but didn’t dare to, because I was worried that the LED light would drop onto my face and burn me. Maybe it’s an irrational thought but there’s a reason why movies like the Final Destination movies exist. I got even more worried because the two times when G was puting the LED light over my mouth, she seemed to have dfficulty getting it in the right position and kept trying to adjust it here and there. So forgive me if I couldn’t help imagining the worst and having horror movie scenes play out in my mind. I also started questioning just how safe it is to expose your face to the LED light like this, especially if you are coming back for multiple treatments, because my mouth area felt quite warm the whole time. Like will I get cancer? I’m not sure because I didn’t do any prior research before coming to Mirage Aesthetic and I forgot to ask, but I feel that its staff should include a section about safety during the consultation to set our minds at ease. Thankfully, 40 minutes passed by quickly and I didn’t die or get disfigured. I went into another room with G to check on the results and make payment. I was told that my teeth went four to five shades whiter, which I was content with. My teeth really did look whiter and I didn’t see any greatly contrasting white spots *rolls eyes*. But guess what G did!? Yes, she continued trying to push the more expensive treatment to me by saying that she’ll charge me the first-time $500 price so it will only cost $1,000 for two sessions. I said maybe next time. Her response was that next time it’ll cost $780 per session so I might as well save $280 x 2 = $560 now. All the while frowning and telling me that my teeth really has a lot of white spots (I got the idea the first time, lady). The funny thing is, I noticed that G’s teeth were not very white themselves. 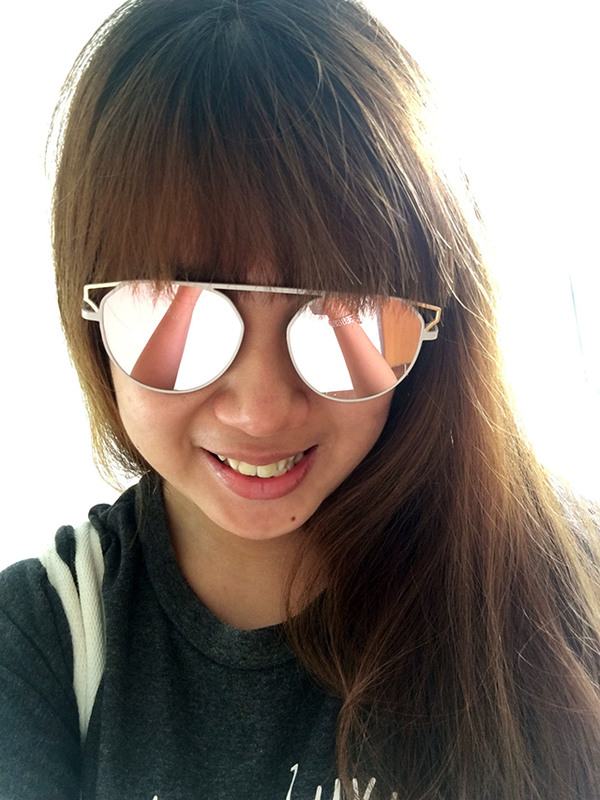 L, who said she has done the treatment before, had whiter teeth and showed us her before-and-after pictures. So this observation made me wonder if it’s because it isn’t that healthy to keep coming back for repeated treatments until your teeth is sparkling white or something else. Also, this is a very long post with no photos because I didn’t bother to take any. G promised to send me the before-and-after photos she took of my teeth, which she didn’t even though it has been days. Maybe it’s because although you do see results, they are not WOW so maybe she doesn’t want me spreading them around. Not that it matters because when I woke up the next day, I felt like my teeth have actually gone back to their original colour. 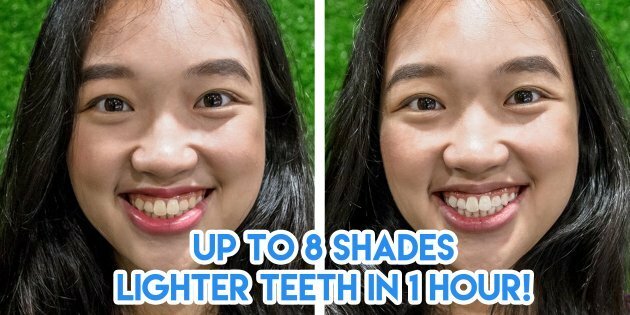 But never mind, I only wanted to try LED teeth whitening for the experience and see if it was really as effective as the online (paid/sponsored?) reviews. I repeat – I have no issues with my results from the treatment. I think I look fine even though my teeth are not perfectly straight or sparkly white. Anyway this session also made me realise that like with everything in life, there is really no shortcut to looking good and it’s all about effort. Want good results? Study or work hard. Want lose weight? Eat well and exercise often. Want perfect teeth? 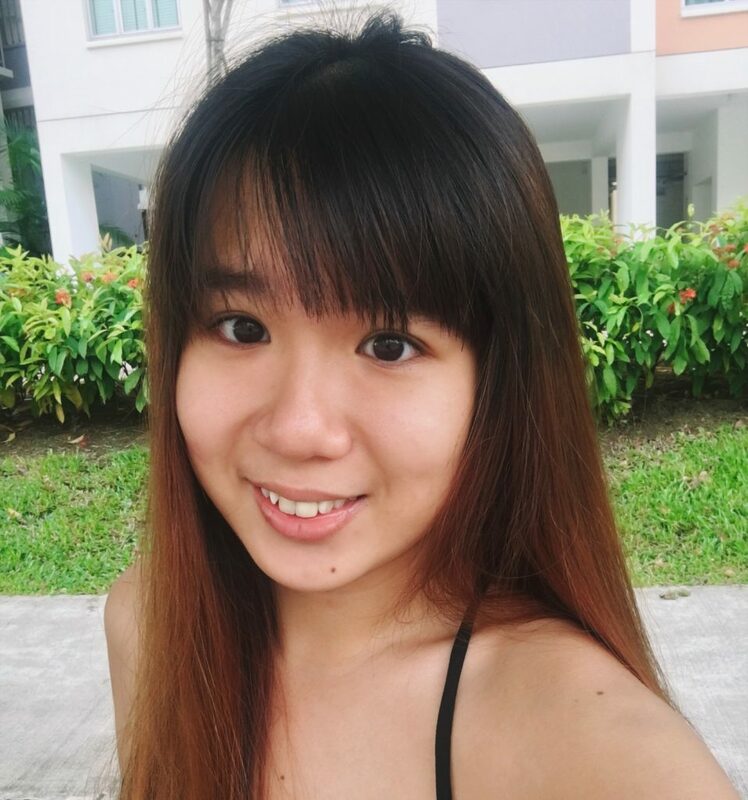 Floss, brush your teeth, avoid sugary or alocholic drinks and dark coloured foods like coffee and tom yum unless you can brush your teeth right after etc. Although the advanced treatment sounded really tempting during the consultation, I’m very glad I didn’t do it (and saved myself money in the process) because this is not a place I’ll feel thrilled about coming back to. This coming from someone who is willing to pay for quality and can be a very loyal customer. This entry was posted on Thursday, February 23rd, 2017 at 8:55 pm and is filed under Photographs. You can follow any responses to this entry through the RSS 2.0 feed. You can leave a response, or trackback from your own site. I wish I read this earlier. I intended to do the basic, but I went for the advanced at $500 ($535 including GST). As you said, there were results but it was not WOW. My teeth did get a few shades lighter. After the treatment, they tried to upsell me more packages, giving me better prices each time I said no. They even went down to $500 for 2 advanced treatments! That’s $250 each! What did I just pay $500 for? !